Today's feature at Practical Scrappers is machine sewing. I wanted to use a lot of sewing, making it the main element of my page, so I sewed six garlands of flowers going from one side of the page to the other, and crossing. It looked good on the page itself, but when I tried to put the pictures on it, it didn't work. i tried with different pictures in different sizes, and none did the trick. So, I cut a piece of one of the garlands, used the pieces below the photos, and added some pearls to give the flowers a special touch. The photos show my daughter and her friends in the Nutcracker show they did at school last year. Pre-K kids were flowers. 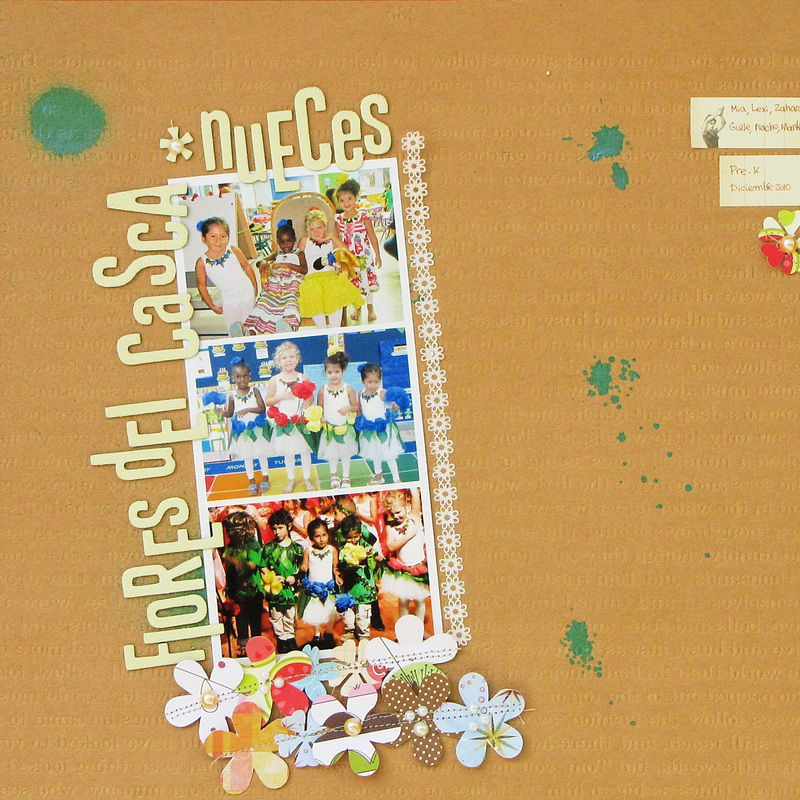 I finished a card using this week's Let's Scrap sketch today, but didn't have enough sunlight to take a photo, so I'll post it tomorrow. In the meantime, if you'd like to see some fabulous sewing machine layouts, visit Practical Scrappers. 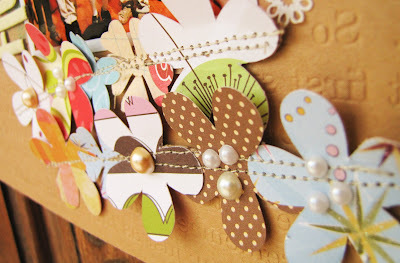 I love your flower garland and the way you added the pearl centers! So pretty! Another gorgeous LO!